The Bharat bandh was to protest against 'price rise', 'fall' of rupee against the dollar and other issues that 'affect' the people across the country. The Karnataka unit of the Congress party has geared up to make the nationwide bandh called by the All India Congress Committee on September 10 a success. 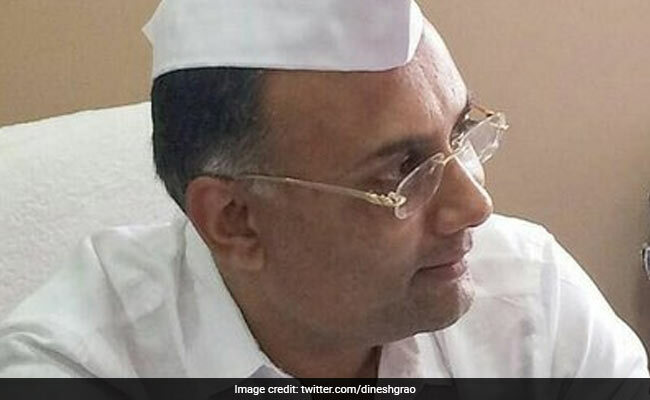 President of the state unit of the party Dinesh Gundu Rao told reporters that the countrywide shutdown was also to convey people's 'anger and hardship' arising out of Prime Minister Narendra Modi's policies in the hope that he implements plans that benefit the masses. "Our objective is not to trouble people or torment them, this bandh should be spontaneous. We are living in the most difficult times," he said. JD(S), which runs a coalition government with the Congress, has also extended support to the bandh. So has a host of organisations such as Karnataka Rakshana Vedike, KSRTC, BMTC, Ola and Uber Drivers and Owners Association, Private Taxi Owners Association, Tours and Travels Taxi Association, Auto Drivers' Association. State president of JD(S) Adagur H Vishwanath told reporters that the Central government was working as an agent of corporates. "We are witnessing lawlessness in this country. The BJP government at the Centre is working as an agent of corporates," he said.